Fabricated out of carbon steel ERW and seamless and alloy steel tubes, these spiral coils are used in oil fired boilers or thermic fluid heaters. Single, double or triple spiral coils with pan-cakes are fabricated as per customers drawings and specifications. Special care is taken for ovality and thinning during fabrication. 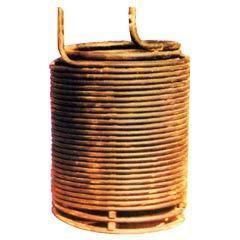 Looking for Spiral Coils For Boilers ?